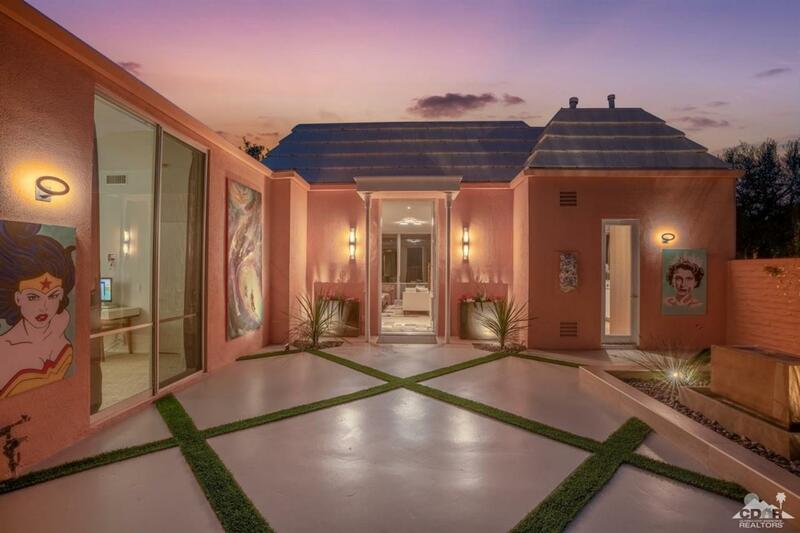 This exceptional home is a must-see for a buyer who wants the best! 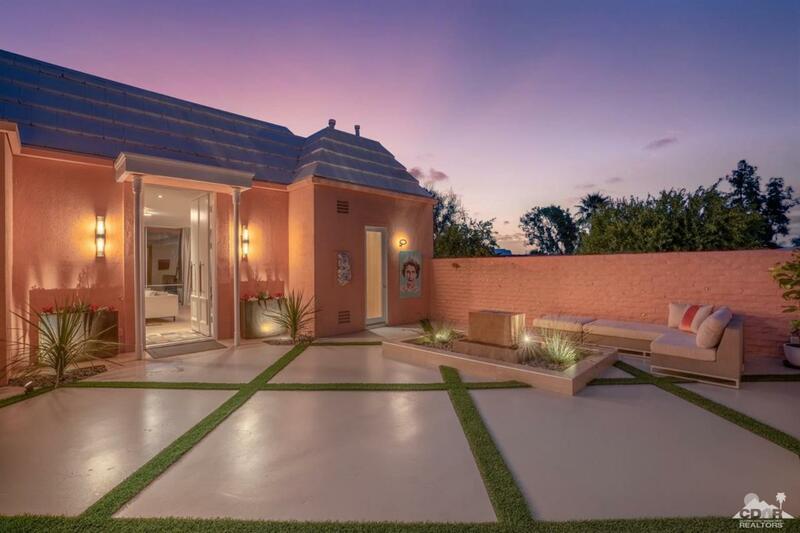 Nestled in the highly acclaimed Marrakesh CC known for its iconic Hollywood Regency architecture, this artfully designed home delivers a streamlined design by Mark Morris Group. Extensive renovation was completed in 2019. Attention to every detail, exceptional quality and gorgeous finishes are seen throughout. The modern and relaxed living space features an open floor plan with abundance of natural light and creates a perfect home for entertaining. Chef's kitchen is fitted with custom grey stain rift white oak cabinetry, quartz counters, striking decorative 3D wall finish and high-end appliances (Bosch Oven, Viking dishwasher, Pro-Series 36in gas stove). The large Master Suite offers a spacious walk-in closet with custom built-ins and a well appointed en-suite bathroom with curbless shower, custom cabinets and fixtures. 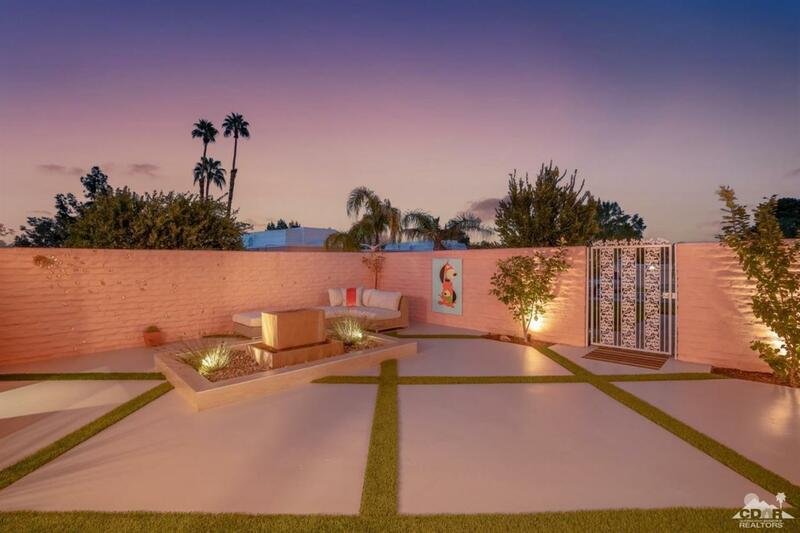 Your luxurious lifestyle continues as you relax in your private courtyard with modern water feature. Cross Street Address Marrakesh Dr. Listing provided courtesy of Didona Marcinkevicius of Coldwell Banker Residential Brokerage.